Inspiring, exploratory, historic, contemporary, modern, curious, derelict…queue-y, nerdy. It can only be the annual architecture poke-about London Open House! We’ve edited their huge programme and listed the highlights below in loose locations. You’ve got a fine combination of crazed pet cats, crazier architects, jobsworths, grandeur and minimalism to look forward to. Just pick your best socks to wear, because it’s shoes off. *Disclaimer* We’ve not been to all the contemporary private openings, but we’ve just included them because they’re new – not that new necessarily means good of course…Some of this year’s crackers include Wandsworth Prison, Crystal Palace Victorian underpass, Neasden Bunker, the Reform Club, FCO, Battersea Power Station, The Apothecary and Vintner Halls, Middle Temple…take note of any requirements to book in advance. Images: Crystal Palace Subway (credit: Mark Blundell), Reform Club, Townhall Hotel, Vintners Hall, Gingerbread House, Ed’s Shed, Artchive, The Jewell House, Wandsworth Prison, 151 Church Walk. Read on for our select highlights – words credited to Open House. Magnificent Grade I listed high Victorian synagogue, Audsley’s masterpiece building. Includes metalwork, stained glass and a mosaic by Audsley; stained glass by NHJ Westlake. Further enrichment 1894/5 included ornate lighting believed to have been designed by George Aitchison. Originally home and studio of Lord Leighton, President of the Royal Academy, the house is one of the most remarkable buildings of 19C. Extraordinary Arab hall with fountains and tiling; superb staircase. Recently the subject of a ð1.6m refurbishment project, the work involved extensive repairs to the original fabric of the house as well as the redecoration of the interiors. RIBA Award Winner 2011. Unique building for artists with three large studios, all with north light through expansive windows. 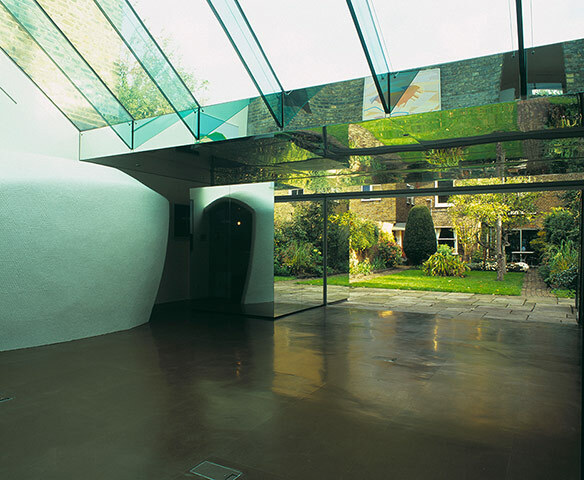 A partially subterranean house, designed to give generous accomodation on a small plot while preserving the long views across the site from the street. A substantial studio-house originally built for illustrator Kate Greenaway; the painting studio is turned through 45 degrees to catch the north light. Now the studio of artist John Aldus. Half-hourly tours, pre-book ONLY by email on lizzie@fra-her.com. Lower ground extension within conservation area, restoring a large ground floor garden and adding significant living space. Light filters in through floor and internal courtyard. Originally a late 19C coachman’s living quarters and stable, this mews house combines an award-winning architect’s studio and spacious light-filled maisonette after a 2-phase retrofit. Private gallery and art archive. Mews workshop converted to artist’s studio/summerhouse. Uses mirrors and glazed surfaces to produce theatrical distortion of spaces. 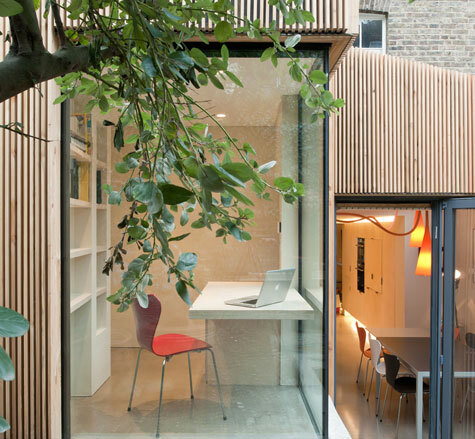 Mezzanine studio carpeted in red, double-height garden room, wedge-shaped glazing. Rear connects to garden with spa. RIBA Award Winner 2005. Grade I listed Modernist apartment blocks retaining many original features. Regular tours, pre-book ONLY at https://ohlhighpoint.eventbrite.co.uk from 1 Sep.
Goldfinger’s unique Modernist home, largely in original condition. The house, which has 3 floors at the front and 4 at the back, is designed for flexibility, efficient use of space and good day-lighting. Complete with fittings and furniture designed by Goldfinger and an impressive modern art collection including works by Marcel Duchamp, Max Ernst, Henry Moore and Bridget Riley. New-build open-plan studio house designed as a floating box with integrated gardens on each level and mesh screens for privacy and sun control. Sustainable features include heat pump, PV panels and water collection. RIBA Award Winner 2012. This mixed use building on Regents Canal illustrates the structural capabilities of the cross laminated timber structure, and is clad in British Sweet Chestnut. Other sustainable features include brown roofs, excellent thermal performance and air tightness. Masterpiece of traditional Hindu design and exquisite workmanship that rises serenely amid London’s iconic skyline. Using 5000 tonnes of Italian Carrara and Indian Ambaji marble and the finest Bulgarian limestone, it was hand-carved in India before being assembled in London. Grade I listed former Old Admiralty Building, behind Robert Adam’s Admiralty Screen on Whitehall. Now owned by Department for International Development and Cabinet Office; works of art and antiques from Ministry of Defence Art Collection. Grade I listed Victorian government office buildings. 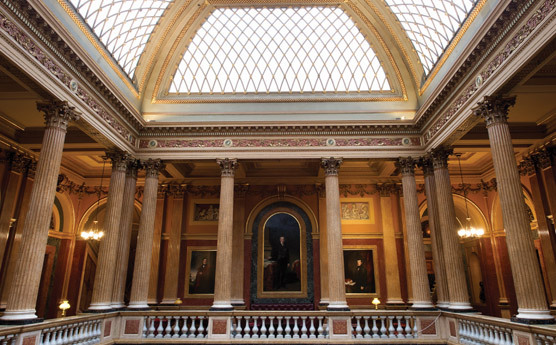 Former India Office includes the magnificently decorated Durbar Court. Monumental classical exterior belying elaborate and varied interior decoration: extensive use of mosaic, stained glass, decorated ceilings and lighting. Known as the ‘Independent North Mansion’ and christened by Sydney Herbert as ‘Belgrave Villa’ and then simply ‘The Villa’ by his successor the 6th Duke of Richmond. Owned by Argentina since 1936 and with sumptuous interiors still intact. Pre-book ONLY by email on paul.austin@reformclub.com. Part of Golden Lane Estate which was the first public housing to be listed. A maisonette with many of the original detail and finishes. Half-hourly tours, first come basis. Closed between 1pm and 2pm. 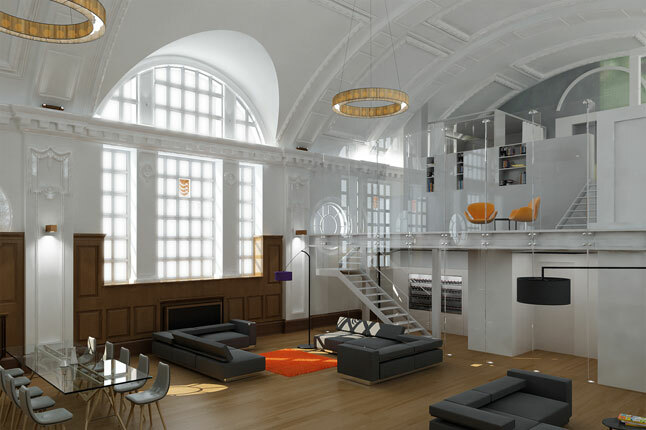 Beautiful redevelopment of former Grade II listed town hall incorporating sensitive contemporary design complementing the original Edwardian/Art Deco features. A modern extension is covered in a metal laser-cut ‘skin’, in a pattern inspired by the Art Deco metal ornamentation still evident in the remaining council chamber. RIBA Award Winner 2011. A unique mews property which has undergone a complete retrofit where both architects designed and built the entire scheme themselves. 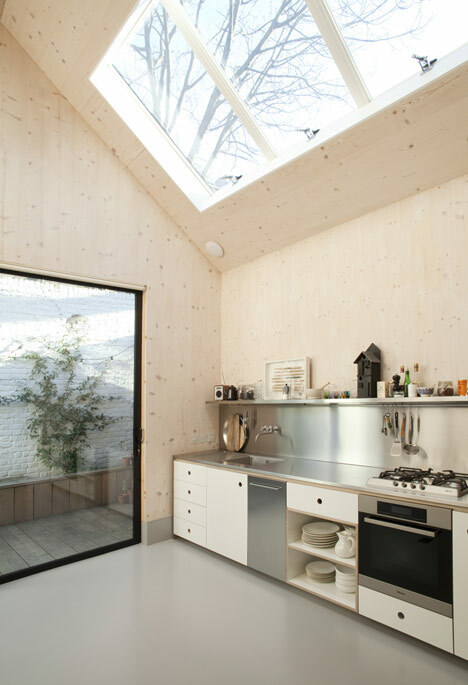 The small house has a surprising amount of playful elements with sliding walls, hidden storage and contrasting materials. On-board film screenings all day. Pre-book ONLY on www.floatingcinema.info. RIBA award-winning modern multi-use building in the heart of Shoreditch, comprising two commercial spaces and two living residencies, showing only the multi-level residence with outdoor space. 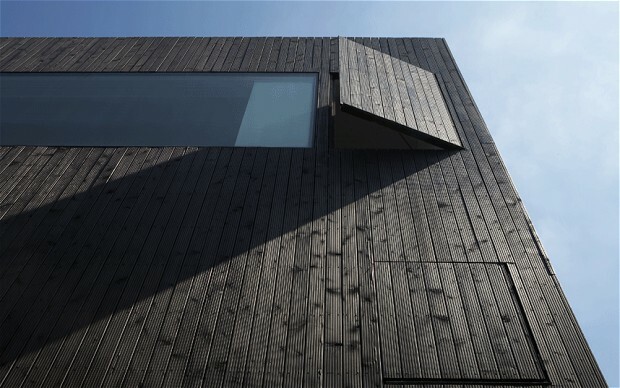 A cube clad in a cedar rainscreen, stained black – a single slot window at the front is all that indicates this is a house. The entire site was excavated to basement level in order to create the sunken foundation on which the house for Ed Reeve architectural photographer, now sits. Hemp insulation improves the thermal performance of the structure while the solid timber frame provides a significantly reduced carbon footprint. Award-winning new build house on site of former box factory with clever use of volumes and daylight, despite the physical constraints of a small urban plot. Complete refurbishment of an 1870s house to provide flexible accommodation for a family of 5. Environmental improvements have been made to increase energy efficiency. Sustainable features include PV panels, solar thermal panels and LED lighting. Unusual contemporary infill development of 4 dwellings on a tight site, one occupied by two of the architects. Imaginatively reconciled to make an elegant, neighbourly scheme. Built in the Victorian grand design, a radial pattern of wings and landings from a central point with an impressive gatehouse. General access to museum Sat/Sun 10am-12pm & 2pm-4pm. 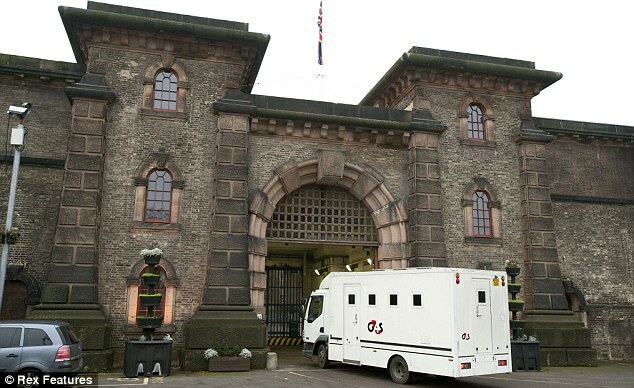 Tour to prison Sat/Sun 12.30pm, pre-book tour ONLY on wandsworthprisonmuseum@hmps.gsi.gov.uk. Visitors must be aged over 18 and have valid photo ID. No cameras or phones permitted inside prison. Hosting site visits as part of Open House for the first time and the last opportunity to see one of London’s most iconic buildings before it undergoes a vibrant redevelopment across the full 38 acre site. Single-storey courtyard house on constrained site, built out to the perimeter whilst providing light and private views to the habitable rooms and avoiding overlooking of the surrounding properties. Bathrooms are located along the street facade with opaque glass windows to provide a buffer zone between the living space and the pavement. One of very few windmills in London. Built 1816 when Brixton Hill was open fields and a working mill until 1934. Restored to working order 2011. Half-hourly tours, duration 40 mins, max 3 per tour, pre-book ONLY on 07587 170 029. A former Clare College mission church, now contemporary art gallery and recently renovated, was the first concrete-poured building in England, now Grade II listed. 2010 renovation by Walter Menteth & Sherry Bates. The building sits in an unusual setting, tucked behind a traditional Victorian street terrace benefiting from unusual views across the adjacent gardens. Meticulously detailed using bricks as the predominant material and large glazed panels to maximise the light levels and views. 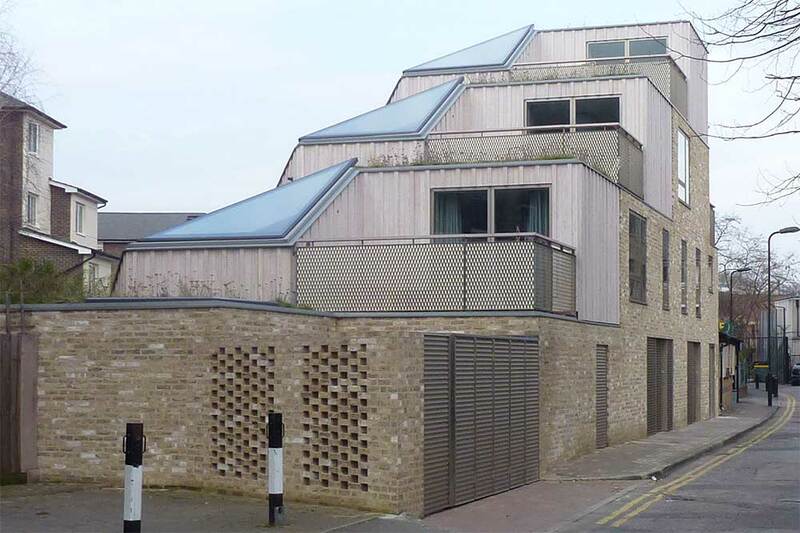 Contemporary 3-storey dwelling on a triangular site designed to respond to the street scene and provide an end to the row of existing terraced houses. Overlooking the River Quaggy it incorporates a roof garden, double-height space and an open-plan living arrangement. Grade II listed late 17C weather-boarded workers’ cottage which has been restored by the current owners, an interior stylist/designer and developer. Although the original part of the property retains its cottage charm, a new extension together with tropical planting in the garden gives it a modern twist. The Moorgate site has seen excavation of 60m deep access shaft for west ticket hall. A walk through Finsbury Circus follows the route of platform tunnels. Liverpool Street shows the construction of the utilities corridor. 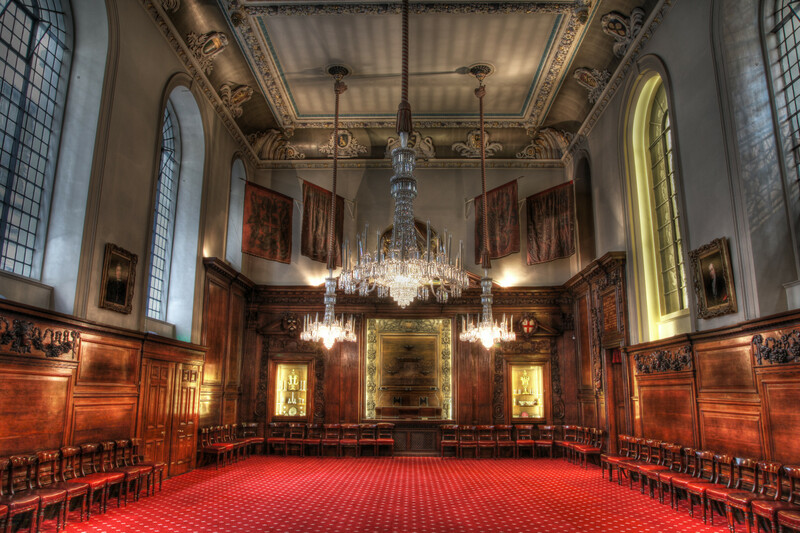 London’s finest surviving Elizabethan Hall (1562), 101ft long and 41ft wide, highly atmospheric, with double hammerbeam roof, screen and notable paintings. 17C and 20C additions. Built immediately after the Great Fire, the Hall is an outstanding example of mid 17C craftsmanship. Richly panelled and with a magnificently carved staircase, it contains paintings, plates, charters and other treasures dating back to 14C. It is, quite rightly, known as the spiritual home of the wine trade. A contrasting itinerary going eastwards passing some Wren churches and Tower 42 to Broadgate, finishing at Liverpool Street Station. Walk led by qualified City of London guide. Sat/Sun 10.40-3.40pm. Half-hourly tours. Duration approx 1 1/2 hours. One of the finest examples of early 18th century architecture in the City of London. 4 Brabant Court, which is owned by Marlin Apartments was restored earlier this year allowing a new life as an events, meeting and dining space. The project won the prestigious 2013 City Heritage Award. Tours at 10.30, 11.30, 12.30, 2.30 and 3.30pm. pre-book ONLY on BrabantCourtOpenHouse@marlinapartments.com. The City’s seat of municipal government since 12C. Grade I listed, rare example of Medieval civic architecture with post-war extensions and rebuilding. Regular tours, pre-book ONLY on 020 7407 3336. A courtyard building with some of the best-preserved 17C livery hall interiors, on the site of the Blackfriars Priory on which the original hall burnt down in 1666.